VANCOUVER, Aug. 8, 2018 /CNW/ - Loop Energy announced today that the company's heavy-duty fuel cell range extender will power two new zero-emission hybrid-electric Class 8 drayage trucks that will operate for a one-year period as part of a FAST TRACK Fuel Cell Truck Project in southern California. The Loop-powered, long-haul trucks will work in demanding road operations, towing up to 80,000 pounds of freight throughout the San Diego and Los Angeles regions. The hybrid-configured trucks will incorporate a range of technological advancements including Loop's state-of-the-art FC-REX fuel cell range extender, TransPower's latest "T-NMC" energy storage technology that is built around batteries provided by Nissan, and battery-electric drive systems supplied by TransPower, to extend the operating range of Peterbilt trucks beyond 200 miles without the need for refueling or recharging. "To meet the commercial demands of heavy-duty freight movement, zero-emission heavy-duty trucks must provide sufficient vehicle range, quick refueling and meet the power needs demanded by fleet operators, without any impact to freight load," said Ben Nyland, President and Chief Executive Officer of Loop Energy. "Loop's robust, no-compromise range extender means truck operators do not have to choose between hauling batteries or freight, and they can transition to zero-emissions without any impact to cost of ownership." 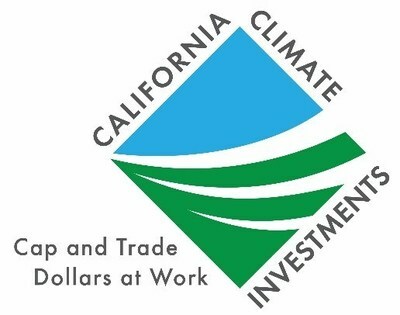 Funded by California Climate Investments (a program administered by the California Air Resources Board to fund projects that accelerate the commercial viability of low carbon freight and passenger transportation vehicles and equipment) and consortium partners, FAST TRACK will be led by GTI, a leader in the development and deployment of technology solutions to address energy and environmental challenges, and the fuel cell/battery-electric drive system integrator TransPower, a leader in electrification technologies and system-integration for large commercial vehicles. Additional partners include heavy-duty truck manufacturer Peterbilt Motors Company (a division of Paccar), fleet operator Bill Signs Trucking, mobile fueling hydrogen infrastructure supplier OneH2, and data collection and analysis provider Frontier Energy. In addition, Frontier Energy and the Center for Sustainable Energy will provide outreach and education services to local communities. 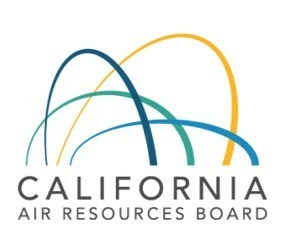 "As the largest gateway for international trade and domestic commerce in North America, California has 50,000 trucks in frequent drayage service" said Michael Baker, an engineer with the California Air Resource Board. "It is important to have a broad range of zero-emission technologies that can meet the diverse needs of CA trucking fleets, in order to achieve future emissions goals." 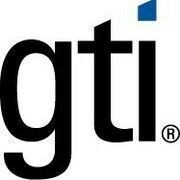 "GTI has assembled a consortium of partners who excel in their respective fields of fuel cell, battery, electric drive, and on-board power system technologies to help the transition to a post-petroleum heavy-duty trucking economy," stated Ted Barnes, GTI Research and Development Manager. "We are very excited about showcasing this breakthrough technology and its ability to provide a zero-emission solution for heavy-duty truck operators and the citizens of California." "Peterbilt is committed to investing in sustainable transportation solutions and looks forward to working closely with FAST TRACK to validate the performance of Loop Energy's fuel cell hybrid-electric powertrains in real-world operating conditions," said Bill Kahn, Manager of Advanced Concepts of Peterbilt. Loop Energy provides zero-emission power systems for heavy-duty transportation applications. Loop works with vehicle manufacturers to design and deliver carbon-free motive solutions using both electric and hydrogen fuel cell technologies. For more information about how Loop Energy is driving the future of zero-emissions, visit www.loopenergy.com.